The dream of economic central planners as outlined in Mark Tucker’s infamous letter to Hillary Clinton “to remold the entire American system” into “a seamless web that literally extends from cradle to grave and is the same system for everyone” took another step forward recently as corporate and government establishment insiders in the Trump administration rolled out plans to merge the U.S. Departments of Education (USED) and Labor (DOL). 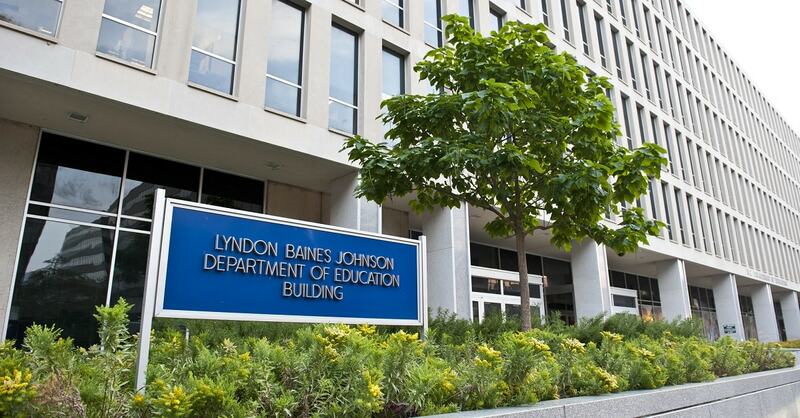 The proposed agency will be called the Department of Education and the Workforce. With one department, these incentives could be realigned, and the system for educating and training workers could be more seamless. This proposed new department could integrate curriculums and establish greater transparency and accountability among high school, college and careers. Assessments of “values and personality traits” — i.e. psychological screening and data mining as does the OECD. “Firsthand exposure to alternative occupational pathways through internships and other applied learning opportunities” — which is eduspeak for further diluting the academic curriculum that has already been devastated by Common Core. The NEA, the largest teachers’ union, is opposed as well. Speaking of Congress, only some House Republicans, like Education and Workforce Committee chairwoman Virginia Foxx, are even vaguely supportive of the idea. Senate Education Committee chairman Lamar Alexander was neutral, saying he would “carefully study” it. Democrats like education committee ranking members Senator Patty Murray (D-Wash.) and Rep. Bobby Scott (D-Va.) are strongly opposed. There is also a grassroots citizen petition at the White House website in strong opposition to this plan. Many parents and citizen groups supported President Trump in 2016 in large part because of his campaign promises to get rid of Common Core, decrease the federal footprint in education, and protect student privacy. They understand and even agree with the president’s desire to get people to work and the economy continuing to improve. However, they are concerned that many Jeb Bush-aligned and other establishment insiders are seeking to implement a School-to-Work/Fed-Ed agenda and co-opting or completely disregarding the president’s campaign promises and relationship with his base. While this merger may be portrayed by the establishment as increasing government efficiency and keeping the promise to decrease the role of USED, it will do nothing of the sort. Rather, it will expand that role and remove the founders’ purpose of having an educated citizenry that can maintain our liberties. As we observe the celebration of our independence, let us fight to preserve our great American civilization by fighting this initiative. Please sign and share the petition and contact your members of Congress as they are home on the July 4th recess.